The Rugby World Cup 2011 was one of the major events in New Zealand’s sporting calendar for 2011 – with the ‘All Blacks’ taking out the final in a nail-biting game against France to become the RWC champions. 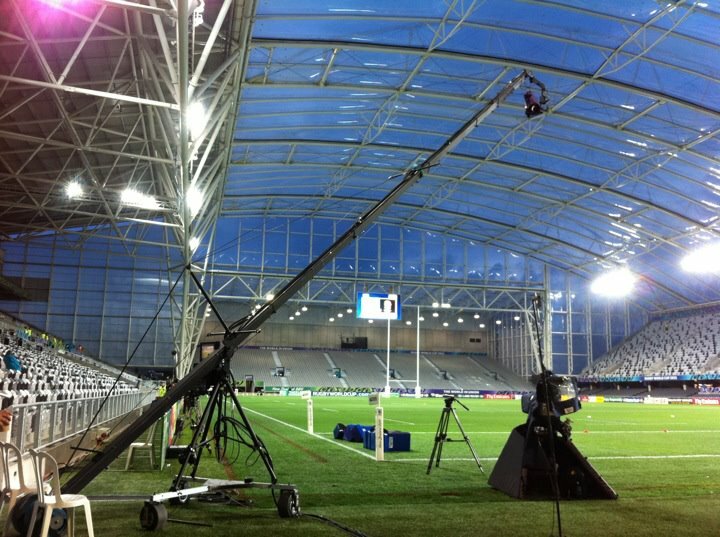 Jimmy Jib Camera Cranes were there – for all the Eden Park games bar one – and at the new stadium in Dunedin. 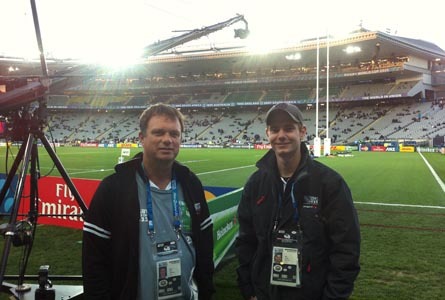 We pulled out ‘the big one’ for the RWC – the 12m. The extra reach of the 12m jib took us further into the crowd – and over the field for the ‘lineout’ and ‘try’ action. Jimmy Jib Camera Cranes - NZ's specialist Jimmy Jib operators, providing jib services in New Zealand for over 10 years.